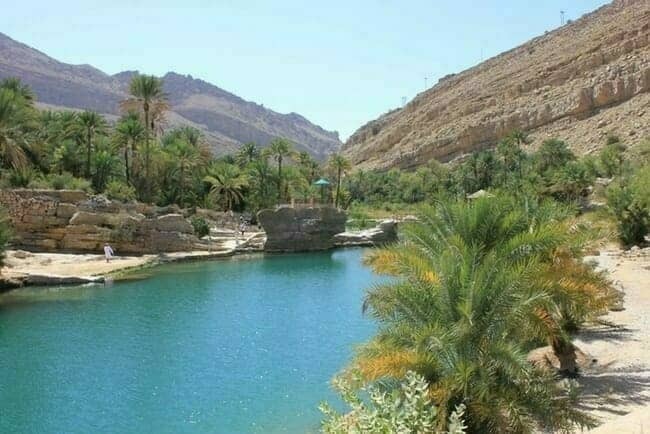 Wadi Bani Khalid Oasis in Oman. With a mountainous desert landscape and a coastline along the Arabian Sea, the Sultanate of Oman has great opportunities for eco adventure travelers. As the world weans itself off of oil, Middle Eastern countries like Oman are putting a stronger emphasis on tourism to fuel their economies. According to a story in The Telegraph, Oman plans to double the number of tourists visiting their nation from 2.5 to 5 million people by 2020. Oman is an absolute monarchy. The Sultan Qaboos bin Said al Said has ruled since 1970 and, according to Wikipedia, he’s the longest serving current ruler in the Middle East. Needless to say, culturally Oman is different from the U.S. and other democratic countries. For example, Sharia Law is upheld in the courts, particularly for family-law matters. But despite these cultural differences, Oman is considered one of the safest countries in the Middle East for western travelers. Commenters on Trip Advisor shared their Oman travel experiences, and the majority say the citizens of Oman go out of their way to be friendly and welcoming to visitors. Perhaps it’s due to their desire to be perceived as a hospitable country, but Oman has made some positive cultural shifts in recent years, notably around the treatment of animals. An article in Wikipedia mentioned that travelers had complained of seeing animal abuse on the streets of Oman, particularly of stray dogs and cats. While we always have to be circumspect about any claims of improved animal welfare, Oman’s passing of this law and openness to visitors can only be seen as a positive. Photo: Arabian Leopard. Wikimedia Commons. 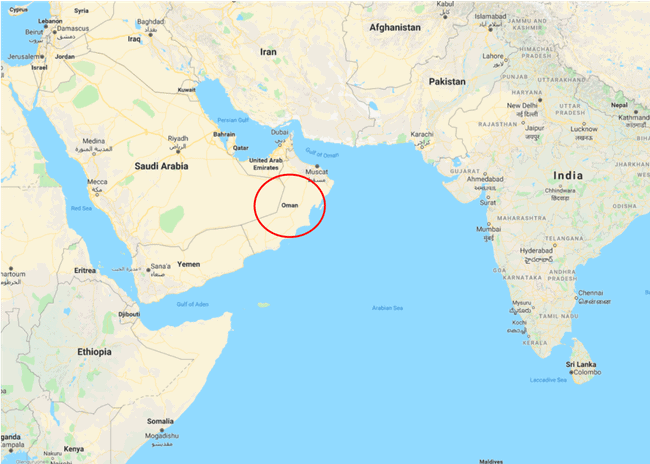 According to Vijay Handa, the general manager of the Ras Al Jinz Turtle Reserve in Sur, Oman, the nation’s green turtle population has increased by 5%, which has been good for tourism. In addition, Oman is becoming a destination for whale watching. In particular, the Arabian humpback whale is critically endangered. It’s the most isolated and the only non-migratory species of whale in the world. Not so! The Vegan Travel Blog has you covered. And while much of the vegan cuisine you’ll find in Oman is not “native,” it still looks pretty darn good and will make for a wonderful trip. Be sure to subscribe to the YouTube channels and follow all the folks on Instagram who were presented in this post!